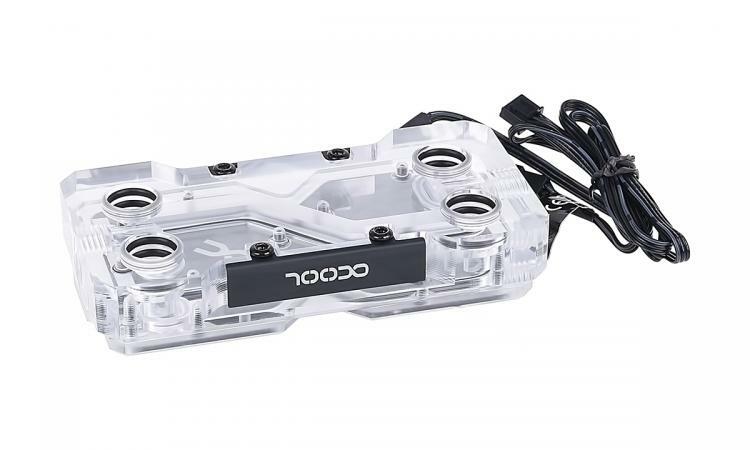 Braunschweig, March 5, 2019 – Alphacool, the specialist in PC water cooling, introduces the GPX SLI Connector Plexi RGB. This adapter allows two graphics cards to be connected to each other and integrated into the water cooling loop. The adapter is easy to install and also offers addressable RGB lighting. Alphacool will offer the adapter in x3 and x4 models to respectively combine SLI-enabled graphics cards in various distances to each other. The adapter is made entirely of clear plexiglass and is equipped with a total of five addressable RGB LEDs on the outside, ensuring that the entire adapter is illuminated evenly. The front of the adapter consists of a black cover with the Alphacool logo and a viewing window that shows the water flow inside the adapter. The combination of cover and integrated lighting results in an eye-catching appearance. Before the GPX SLI Connector Plexi RGB can be plugged into the SLI bridge, the user has to screw the included SLI connectors into the graphics card cooling block. The connectors have a small indentation to securely fasten them when you click them together, guaranteeing a leak-free connection. Both ends of the connector feature G1/4” threads to integrate the graphics cards into the water cooling loop. 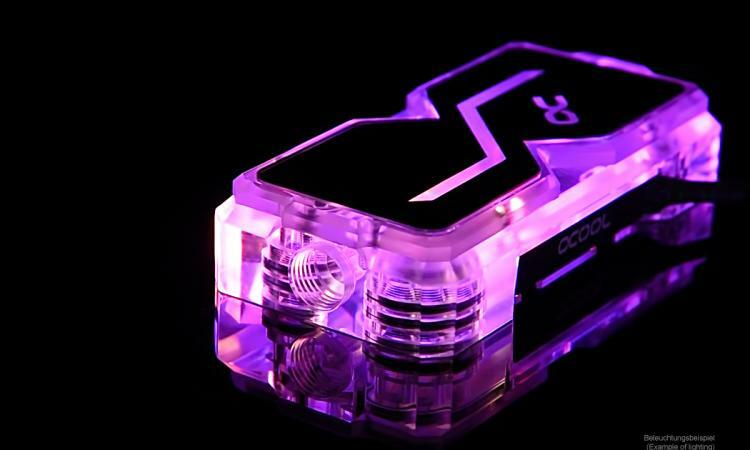 Thanks to this standard thread size, the GPX SLI Connector Plexi RGB is compatible with most cooling components on the market. The x4 version should be used when the first graphics card is installed in the first PCIe slot and the second one in the fifth. For the x3 variant the second GPU must be in the fourth slot. The Alphacool GPX SLI Connector Plexi RGB x4 has a recommended retail price of €44.95, the x3 model will retail for €39.95. Both models are available in Aquatuning's online store as of today.